President Donald Trump has selected the late Elvis Presley as one of this year’s recipients for the Presidential Medal of Freedom, the White House announced Saturday (Nov. 10). Apart from Presley, other recipients include: famed baseball player Babe Ruth, Supreme Court Justice Antonin Scalia, hall-of-fame quarterback Roger Staubach, Minnesota Supreme Court Justice Alan C. Page, Senator Orrin G. Hatch and committed doctor and humanitarian Miriam Adelson. Trump will award the Presidential Medal of Freedom on Friday (Nov. 16). This will mark Trump’s first time bestowing a Medal of Freedom. During Obama’s presidency, the former president awarded Medals of Freedom to stars such as Ellen DeGeneres, Robert De Niro, Meryl Streep, Stevie Wonder, Tom Hanks, Diana Ross, Bruce Springsteen, Cicely Tyson, Gloria Estefan, Steven Spielberg and Barbra Streisand. The news arrived on the same day the president received backlash for threatening to withhold federal funding to California, after placing blame on “poor” forest management to sparking the growing wildfires that have destroyed 70,000 acres and have caused evacuations throughout Northern and Southern California. Posted in Art and Music, Entertainment, music-general. A friend arrived from London two days ago, enduring more than 13 hours of non-stop flight, painfully adjusting his body clock to the seven-hour time difference. He was on a car a few hours later heading for Kota Baru. It took him and his family almost 15 hours to reach “home”, more than the time spent on the plane. Replicate the story all over the country. It is not surprising a two-and-a-half hour trip to Ipoh becomes a nightmarish eight-hour crawl. The trip to the Tangkak interchange from KL normally is a two-hour journey , but it will take at least five hours on a bad day. Yet Malaysians still go back home, “balik kampung” – the exodus happens in all festive seasons. We complain a lot about the horrendous jams but perhaps we have perfected the art of enduring it. I have no reason to go back to my kampung in Muar. My children are all here in KL and one is working in Australia. It is a trip we can do without. My parents’ home is still standing but my sister-in-law is staying there with her family. Once a year the house is filled to the brim. There is no space left to sleep. Every space is occupied when my siblings and their sons and grandchildren descend upon the house on the eve of Hari Raya. There is one surviving uncle in the village whom we will visit the second day. Then we will decide what to do next. Some will go back to KL. Others make their own plans. The two nights together matter to us. It is about keluarga berkumpul (family gathering together) more than anything else. It is bonding among the cousins and nieces and rebuilding ties among the siblings. My children find it perplexing that after 44 years of leaving the village that is not registered in most maps, I am still obsessed about going home. When they were small I has a better excuse. At least an opportunity for them to see real rubber trees or palm-oil trees. Or get the feel of a real village where I used to live. But they are all grown-ups. Only this time, when my interest to go back home is waning, they are the ones insisting to balik kampung. It has been a long, arduous and challenging journey for people of my generation from the villages to where we are now. Not many in the villages in 60s and the 70s had the opportunity to pursue higher education. Those who did were uprooted from the village and facing new realities in a handful of institutions of higher learning available at the time. Many of us left the villages for good. We domiciled mostly in Lembah Klang or in Penang. So naturally balik kampung became a ritual for many of us. Things have changed a lot over the years. The surau in my village reflects that change. It used to more alive during the puasa months. After the terawikh, boys would be playing obak or main galah, traditional Javanese games of getting through a guarded barrier without having to be slapped on the back or worse. Religion and cultural festivities mixed well back then. Every 27th of the month there will be the Khatam Quran (completion of reading the Quran). It is a big social event involving every member of the khariah (congregation). The village is losing many of the young who have gone out seeking better jobs. There are even a few abandoned homes now. The elders have all gone. I can only reflect on the interesting people I encountered growing up in the enclave. They were hard working individuals trying to make a living. Life was tough, but they played equally hard. Religious rituals were observed diligently. But cultural rituals were respected too. They hailed mostly from the area of Ponorogo, in the Javanese heartland in Java, thus they bring along their cultural expressions and performances. My village was known to have kuda kepang, ketoprak, wayang wong, cempuling and at the same time the berzanji, marhaban and even ghazal flourished. In fact my love for culture and the arts were nourished experiencing and watching the rich cultural heritage of the people in my village. There used to be three car owners in my kampung back in the 60s. There are now probably about 30. During Hari Raya there will be at least 300 cars meandering through the narrow village roads. It is ironic to see cars bumper to bumper trying to pass through the bridge near my house. I thought I will not encounter a traffic jam here in Sungai Balang Besar. What does balik kampung means to the Malays? Or Malaysians as the whole? Almost everything it seems. Perhaps the younger generation is grappling with the notion of wading through hours of jams to be where their parents were born and raised as ridiculous. But more importantly it is the tradition that matters. The city-born children will never understand the lure of balik kampung fully. Balik kampung is still the Malaysian thing, at least for many more years to come. 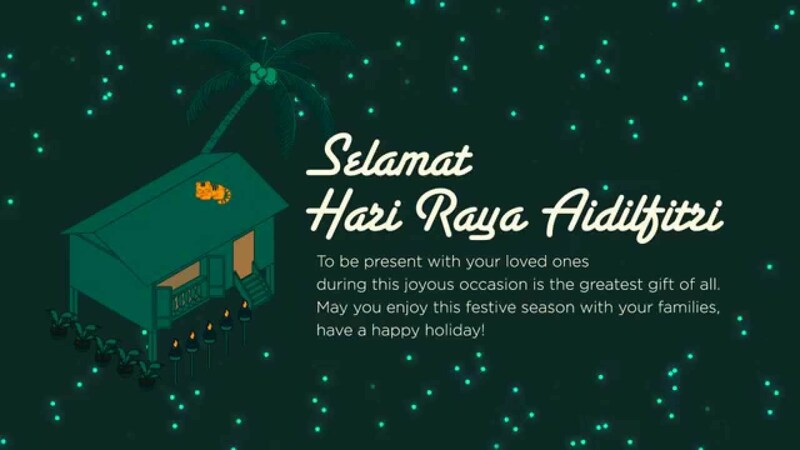 To all my Muslim readers, Selamat Hari Raya, maaf zahir batin. Johan Jaaffar’s love for the arts has not faltered despite his years in the media and the corporate world. He has just published a book, Jejak Seni: Dari Pentas Bangsawan ke Media Prima Berhad which chronicles his 50-year journey as a stage actor, playwright and director. Posted in Art and Music, ASEAN, Festival, Freedom, Hibiscus Revolution--Malaysia2018, Malaysia, National Unity, Rukun Negara, www.thestar.com.my. Marion D’Cruz was among friends last Saturday. They came from all over to celebrate the publication of a book on the late Krishen Jit. That morning, Five Arts Centre was the venue where friends of Krishen and Marion converged reminiscing about the man they knew well. The book Excavations, Interrogations, Krishen Jit & Contemporary Malaysian Theatre is one of a kind. It is basically a compilation of essays by 14 writers of different backgrounds and disciplines on the life and works of Krishen. It stems from a conference held in January 2015. With an illuminating introduction by the editors (Charlene Rajendran, Ken Takiguchi and Carmen Nge), the collection unveils the various layers of Krishen’s works and his personality. For many of us who have known Krishen, he was simple and forthright as a person. But the complexity lies in his works and especially his writings. I have edited some of his essays in Bahasa Malaysia in Dewan Sastera, the literary journal published by Dewan Bahasa dan Pustaka (DBP). I have collaborated with him in a few essays. I have been following his columns in the New Straits Times for years. He has written about me and my works, some I liked, others I didn’t and I told him so. Krishen was the best drama critic the country has ever known. To label him just a “critic” is almost a misdemeanour. He was in fact a keen observer, a chronicler and a commentator. To many who have acted under his direction or listened to his talks, he was a guru and mentor. He can be exceptionally harsh, even brutally critical in his writings. But theatre activists of his generation took note and paid attention. Being reviewed by Krishen was in itself an honour. For 22 years (1972 to 1994) his nom de guerre, “Utih”, was writing for the New Straits Times. When he started the column in 1972, a lot of things were happening on the Malaysian stage. Theatre in Bahasa Malaysia was alighted with new works by the likes of Syed Alwi, Nordin Hassan and Dinsman. Theatre in English, once the flagbearer of excellence suffered because many of its stalwarts were migrating to theatre in Bahasa Malaysia. In fact Krishen was the bridge between the two, as argued by Literary Laureate, Datuk Baharuddin Zainal, another of his close friend. Two years later, I joined the University of Malaya and was part of the vibrant student and theatre activism in the campus. Hatta Azad Khan was at the Universiti Sains Malaysia (USM) and Mana Sikana was at the Universiti Kebangsaan Malaysia (UKM). All three of us were, together with Nordin and Dinsman according to Krishen and other critics, the pioneers of the “absurd theatre” in the country. I knew Krishen through his writings as a student. He was a lecturer at the History Department when I joined the UM. When I joined DBP in 1977, I had already befriended Krishen. In 1979, he was entrusted to organise a theatre festival for the Malay Studies Department of the UM. It was to be called “Festival Teater Jabatan Pengajian Melayu” in conjuction with the 25th year of the department’s existence. He selected seven plays to represent the various stages of contemporary Malay theatre. My play, “Angin Kering” was chosen to represent the experimental era of the 1970s. I was to direct the “oldest” play, a transitional play (sandiwara) entitled “Si Bongkok Tanjung Puteri” written by Shaharom Husain. It was a tough assignment for Krishen. I was given the task to assist him by my employer DBP. For many months we worked on the project. We even collaborated in an essay on Shaharom Hussain for the March issue of Dewan Sastera in 1979. On his own he wrote a two-part essay as a retrospective of Malay theatre in the same edition and in the following month. I got to know Krishen up, close and personal. He was a voracious eater, I can vouch that. He enjoyed being in my car, for I drove fast and perhaps a little reckless back then. “I feel safe in a fast but cheap car!” he told everyone who cared to listen to his agony. He was combing details of the works of Shaharom relentlessly. We met Shaharom a few times and marvelled at his collection of books and newspaper cuttings. As a historian Krishen probed the history of the genre, sandiwara. It was an enlightening experience working with Krishen. In 1992, I joined the Utusan Melayu Group as the Chief Editor. I became a restless spectator for years, for I was busy as a journalist and later in the corporate world. I heard Krishen started Five Arts Centre with his wife Marion in 1984. We met occasionally over teh tarik when time permitted. I was abroad when I heard of his demise. This book is written with passion and understanding in trying to excavate and interrogate his body of works, his disciples, his work ethics and more so his contribution to the world of theatre. He was a perfectionist, no doubt. And he was a man driven by his obsession to raise the bar of Malaysian theatre. He was never selfish, but uncompromising yes, and he was perfecting his art all the time. Many who have worked with him understand his demanding pace and exactitude. He expected the best. He was lucky to have Marion and some of the best and dedicated stage people at Five Arts Centre. This publication is a fitting tribute to Krishen Jit. Johan Jaaffar has just published a book, Jejak Seni, about his 50-year incredible journey as an actor, playwright, director and later chairman of the country’s largest media company. He was a journalist and a former chairman of DBP. Posted in Art and Music, Books, Culture and Music, Literature, tribute, www.thestar.com.my. Dr.William Deresiewicz said students should learn to think before trying to change the world. At elite private colleges, the social cost of dissent is high and progressive consensus tight, according to William Deresiewicz, author of the best-selling book, “Excellent Sheep,” comparing universities to what sociologists call “total institutions” such as monasteries, prisons, mental institutions and the military. This is notwithstanding the desire of students at colleges like George Washington University to have an impact and make the world a better place. Dr. Deresiewicz told students that “reflection, contemplation, analysis, study – in a word thought” should precede their commitment to making the world a better place. Mount Vernon, located in Fairfax County, Virginia, was the plantation home of George Washington, the First President of the United States. The property alongside the Potomac River was first owned by Washington’s great-grandfather back in 1674, who became a successful tobacco planter through the help of slave labor and indentured servants. Young George Washington came into possession of the estate in 1754, when he was about 23 years old, but he didn’t become the property’s sole owner until 1761. The estate served as the centerpiece of Washington’s military and political life,and the site stands as a powerful symbol regarding the birth of the American nation. Introducing the author to students and faculty crowded into Ames Hall on the George Washington University Mount Vernon Campus, Maria Frawley, executive director of the University Honors Program and professor of English, said, part of his book’s subtitle, “The Way to a Meaningful Life” is what appealed to her. “It is what all of us educators and students care most about,” she said. Recent tensions on college campuses between freedom and equality and the struggle over restrictions on offensive speech, Dr. Deresiewicz said, prompted him to come up with a response. He contended that the homogeneity of student populations at elite college campuses who often are from liberal upper and middle classes, multiracial, but predominantly white accounts for a progressive dogma of opinion that almost approaches religious dogma. “Secularism is taken for granted. Environmentalism is a sacred cause. Issues of identity – principally the holy trinity of race, gender and sexuality – occupy the center of the discourse,” Dr. Deresiewicz said. “The assumption, on the left, is that we are already in full possession of the moral truth. A liberal arts education includes not only disciplines such as the humanities, English, history, philosophy but also the sciences in which the pursuit of knowledge is conducted for its own sake, he said. Asked where he would draw the line in making students uncomfortable, Dr. Deresiewicz said even though right wing groups are often deliberately provocative, he agreed with a University of Chicago dean that colleges should provide no spaces safe from debate and uncomfortable discussions. Posted in Academic Freedom, Art and Music, Character and Integrity, Critical Thinking, Democracy, Education, Freedom, Intellectual Development, Liberty. Dr. Kamsiah Haider in Kuala Lumpur and Din Merican in Phnom Penh wish all our friends and associates around the world a Merry Christmas 2017 and prosperous New Year, 2018. We are indeed grateful for your warm friendship and support we enjoyed during 2017. We forward to working with you in the coming year and together we can make our world a better place. We have little time for politicians and ideologues as they are a crop of egoistic, misogynistic and greedy people. All we have to do is to look at Syria, Yemen, Myanmar, Somalia, Libya, Afghanistan and other places to see for ourselves their handiwork. People are their victims, especially women, children and the elderly. They have lost the moral high ground and we must put our differences aside and work hard for peace. On the occasion of Christmas and the New Year 2018, may we ask Michael Jackson to sing for us his famous song, Make The World a Better Place. –Dr. Kamsiah Haider and Din Merican. Posted in Art and Music, civil society issues, Corruption, Entertainment, Festival, Freedom, Goodwill, Human Rights, Humanity, Justice, Law and Order, Liberty, Peace, Politics, Poverty, Racism, Repression, Social Progress, Trumpianism, United Nations, UniversIalism.